A few days ago Microsoft provided PowerShell as an open source project on GitHub, available on Windows, Linux and macOS! The first open source release is PowerShell 6.0 Alpha. 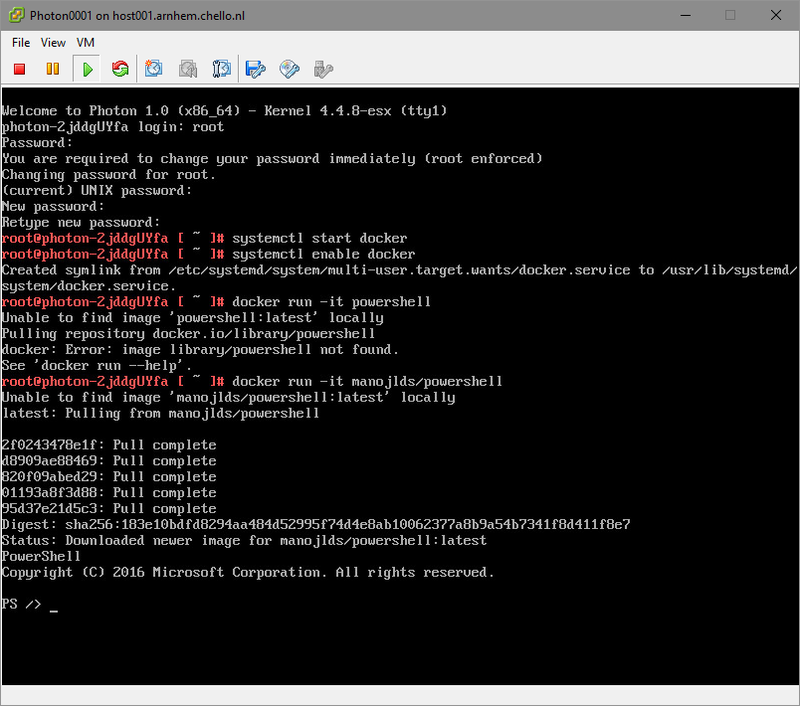 In this blog post, I will show you how to run the new PowerShell version in a Docker container on VMware Photon OS. TIP: If you create a template of the first Photon OS virtual machine you install, you can use this template to easily deploy new Photon OS virtual machines. After starting the Photon OS virtual machine, login with user root. The default password for the Photon OS root user is changeme. You have to change the password during first login. In the following screenshot of the Photon OS console, you will see the complete session after my initial login until the PowerShell prompt. Now you can start using PowerShell 6.0 Alpha on VMware Photon OS. Have fun!